UNION = YOGA . . . Do what you love . LOVE what you do . . . + when the opportunity presents itself, UNITE your passions + invite friends along to join in the fun! Thanks to my teachers John Salisbury + Alex Austin for the opportunity to help define + design their unique brand identity for the most loved studio in the Valley of the Sun. 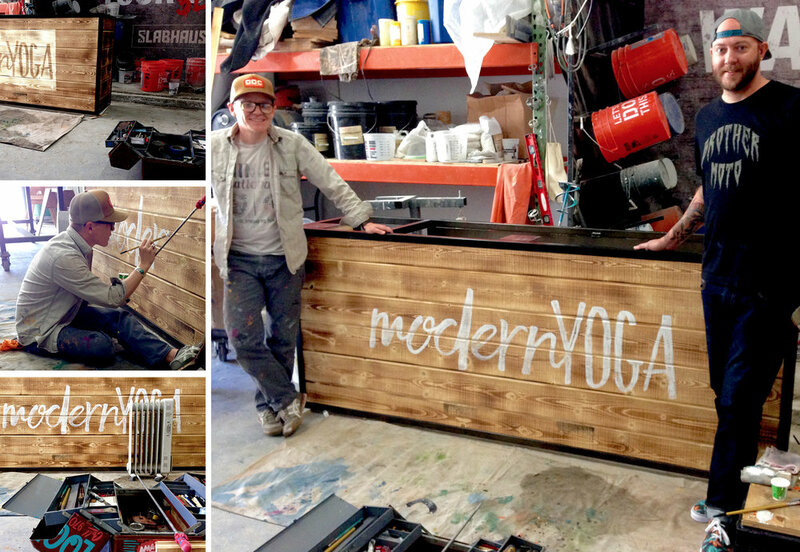 Thanks to @curatorofawesome + @slabhaus for sharing your skills + passion for sign painting + concrete to greet all the yogis + yoginis as we come to practice + play at MODERN YOGA . . . see everyone on the mat soon . . .
Adobe InDesign, Photoshop + Illustrator.